3 December 2018, Singapore – Race promoter Singapore GP Pte Ltd has set the scene for a blockbuster Formula 1 Singapore Airlines Singapore Grand Prix 2019, to be held at the Marina Bay Street Circuit from 20 to 22 September 2019, with the announcement that Muse, Fatboy Slim, Toots and the Maytals, and Larkin Poe lead the first wave of its stage entertainment line-up. 2018’s Singapore F1 event saw 263,000 attendees at the Marina Bay Street Circuit, registering the second-highest three-day attendance in the race’s 11-year history. 2019’s Singapore F1 event promises more thrilling off-track offerings throughout the Circuit Park with live performances across nine stages. 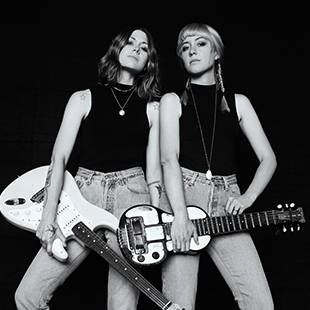 Today’s first phase unveiling, sees stadium rockers Muse, British DJ legend, Fatboy Slim, Jamaican reggae icon, Toots and the Maytals and American roots band, Larkin Poe, as the first wave of the event’s entertainment line-up for 2019. Many more acts for 2019 will be announced soon! Muse, one of the world’s leading rock bands, formed in 1994 by Matt Bellamy (lead vocals, guitar, keyboards), Chris Wolstenholme (bass guitar, backing vocals), and Dominic Howard (drums), has sold more than 20 million albums worldwide with Simulation Theory its sixth number one album in the United Kingdom. The band has won two Grammy Awards, two Brit Awards, five MTV Europe Music Awards and eight NME Awards, with smash hits like Hysteria, Stockholm Syndrome, Plug In Baby, New Born and Knights of Cydonia. 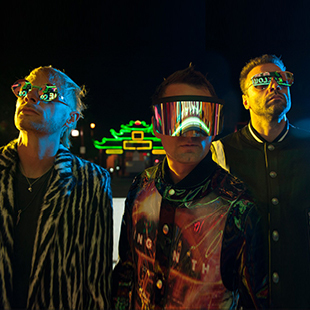 Muse will be among the line-up of spectacular acts rocking up Zone 4 (21 Sept) of the Circuit Park over the race weekend. Renowned British DJ and producer Fatboy Slim has been creating big beats since 1996. A Grammy and Brit Award winner, Fatboy Slim’s four studio albums ( Better Living Through Chemistry, You’ve Come A Long Way, Baby, Halfway Between The Gutter and the Stars, and Palookavilla) have had millions moving to such iconic tracks like The Rockafeller Skank, Praise You, Right Here, Right Now, and Sunset (Bird of Prey). His music video for Weapon of Choice, which features a stunning dance performance from Hollywood legend Christopher Walken, remains one of the greatest examples of the art form – and earned him six MTV Video Music Awards in 2001. Fatboy Slim will feature among the electrifying acts lined-up in Zone 1 (21 Sept) over the race weekend. Jamaican legends Toots and the Maytals, the group that coined the term “reggae”, have been grooving audiences across the world since the 1960s. They are also credited as a key player in popularising the reggae genre. The band, led by Frederick “Toots” Hibbert, has been a proven mainstream success over and again – with Vogue magazine including 54-46 Was My Number in its list of 15 Roots Reggae Songs You Should Know, and the band featuring at iconic festivals like Coachella in the USA and Glastonbury in the UK. Toots and the Maytals have also made appearances on Saturday Night Live and The Tonight Show with Jimmy Fallon. Catch Toots and the Maytals among the exciting performances in Zone 1 (20 Sept) and Zone 4 (22 Sept) over the race weekend. Patrons will be able to catch these performances at the Marina Bay Street Circuit with a valid ticket for the relevant zones. Early-bird ticket specials are available from now till 8 May 2019, offering savings of up to 28% off regular ticket prices. For more information or to purchase tickets, visit www.singaporegp.sg. Tickets are also available via the hotline +65 6738 6738 as well as all authorised ticketing agents. Refer to ANNEX A for more ticketing details.